Smart products are meant to make life easier but one common issue among most heavily used electronics is keeping them properly charged. 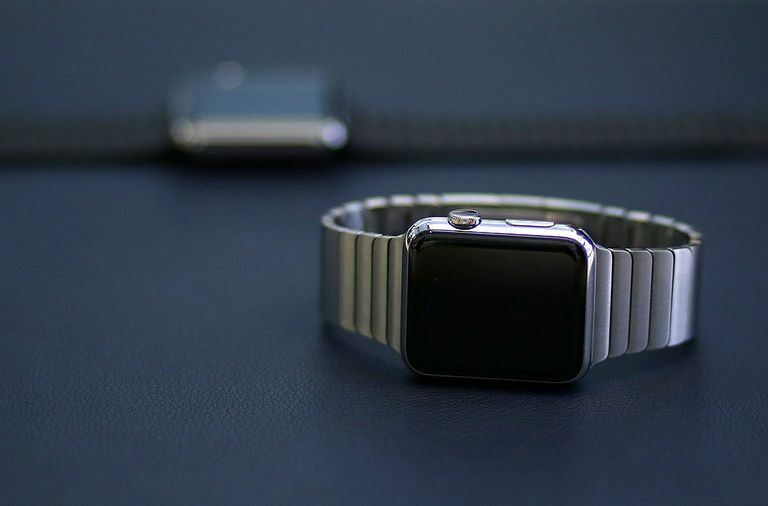 Here's how to charge an Apple Watch and some best practices for maintaining battery power. To charge an Apple Watch, users need only connect to or place the device on its charger and plug it into a power source. On average it takes about 1.5-hours to charge an Apple Watch from 0 percent to 80 percent and 2.5-hours to charge to 100 percent. Charging an Apple Watch for 60 to 90 minutes per day will typically ensure it always has enough power for average use, which could be a combination of checking the time, taking phone calls, listening to music, or using fitness features. The Apple Watch holds a battery life of about 18-hours with average use; however, when used for more extreme functions, the battery can deplete a lot faster. Battery life on an Apple watch will last up to 48-hours if it's just displaying the time, up to 3-hours if being used on a consistent call, and up to 6.5 hours if being used for listening to music or fitness functions. Even if your Apple Watch hits zero percent, it won't shut down right away. The Apple Watch has a Power Reserve mode, which lasts up to 72-hours. In this mode, the watch will shut down all functions, including special watch faces, and only display the time. Power Reserve mode can be used to conserve battery life at any time, not only when an Apple Watch is low on power. All Apple Watches are compatible with the Apple Watch magnetic charging cable, which snaps on to the round bottom of the smartwatch. Apple Watches come with a charging cable included, but users can easily buy a replacement or an extra cord if needed, or even a charging dock/stand. It's typically best for users to opt for Apple-branded accessories for speed and safety. However, there are several brands, such as Zabiki and Insignia, that make certified Apple accessories for prices slightly cheaper than those sold directly from Apple. Practices will depend on a user's lifestyle, but the average user may find the evening is good for making sure their Apple Watch is consistently charged. Charging for 1-to-2.5 hours before bed may be a good practice for those who want to wear their Apple Watch while sleeping to track sleep patterns. Even if users don't want to wear their Apple Watch to bed, they should avoid leaving the smartwatch on its charger overnight, as doing so can deplete the integrity of the battery over time. Of course, users can also charge their battery in the morning while preparing for their day. Charging for 30 minutes to an hour before leaving the house can ensure an Apple Watch is powered throughout the day. With this method, users can split the charging time between morning and evening to avoid waiting a full 2.5-hours for a full charge. This can also ensure the battery life doesn't dip below its usual percentage when being used normally. Apple Watch Won't Turn On? No Problem!